Is the school year really almost over? This week, Hunter College and SVA are hosting open studios of their MFA candidates. 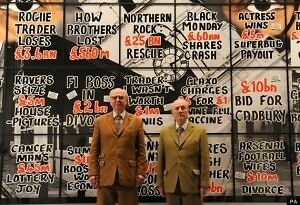 Also in New York: Terracotta Warriors are invading Discovery Times Square, Gilbert & George present "London Pictures" from across the pond, and Ai Weiwei will be honored at the White Box Spring Benefit. Take a study break, and check out this week's art scene.